Herzog will take the new position on August 1, replacing Natan Sharansky, who has chaired the agency for the past 9 years. 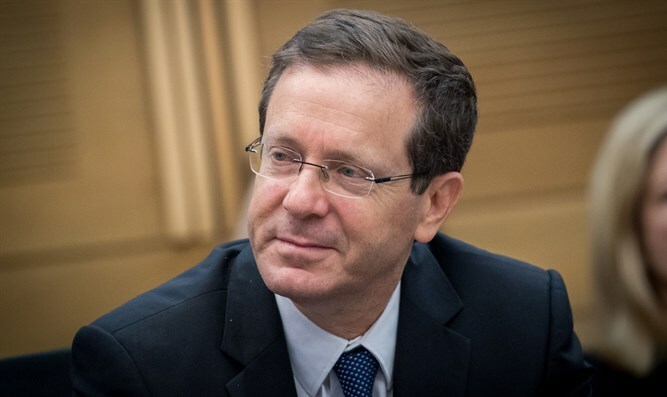 The Jewish Agency board of governors adopted this morning, Sunday, the recommendation of the Jewish Agency's appointments committee and unanimously elected MK Yitzhak Herzog (Zionist Union) to head the agency. Herzog will take up his post on August 1 and replace Natan Sharansky, who has served as chairman of the Jewish Agency for the past nine years. MK Herzog gave a short speech after the selection in the board of governors, "I tell the prime minister - we will work together in cooperation. Thanks to the Creator and to all those who supported me "
Herzog's election is a blow to Prime Minister Binyamin Netanyahu, whose candidate, Minister Yuval Steinitz, was not chosen for the significant position. Following the decision of the appointments committee to recommend Herzog's election, Prime Minister Netanyahu announced the cancellation of the meeting of the coordination committee between the government and the Jewish Agency, which was scheduled to convene earlier this week.